Mister Freedom® M-17 Parka, indigo-dyed jungle cloth, mfsc “Surplus” catalog FW 2017. 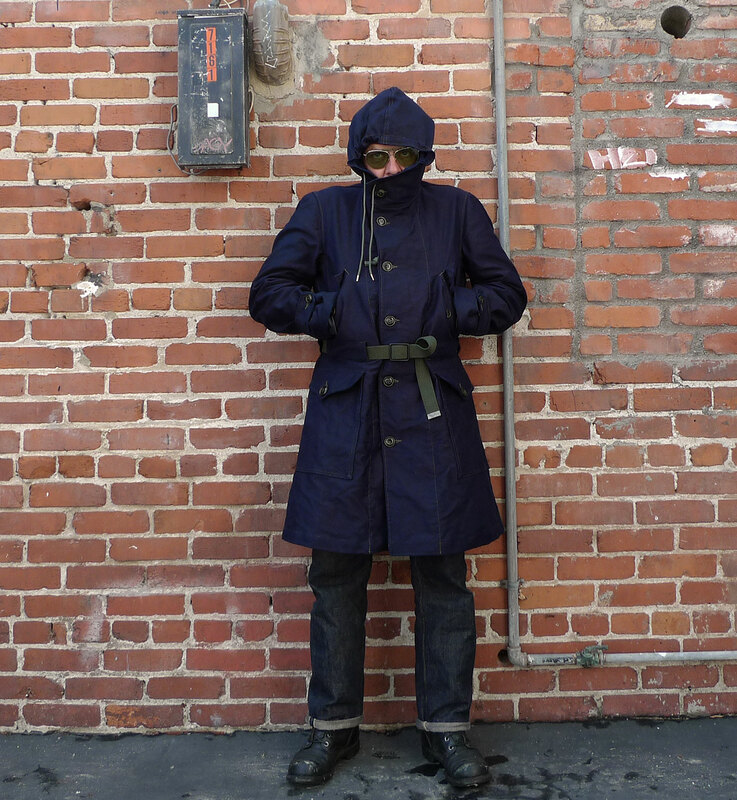 With the Mister Freedom® M-17 Parka, now you too can look really creepy. 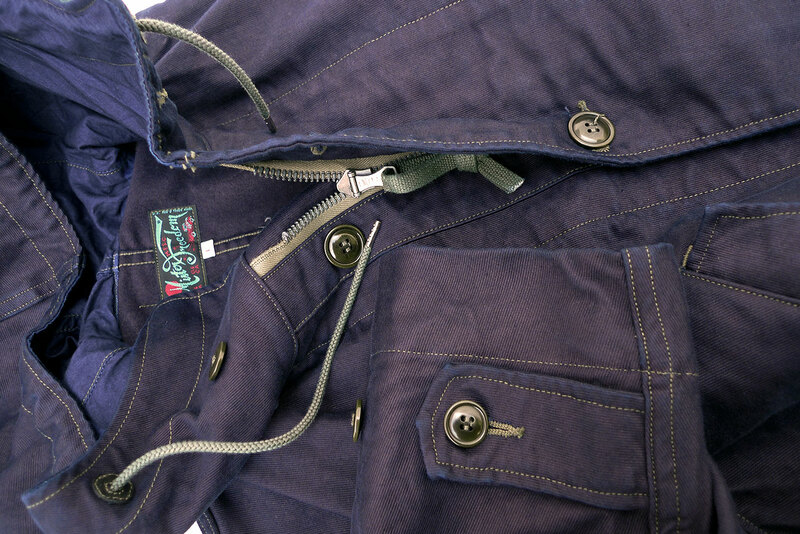 Mister Freedom® “M-17 Parka”, indigo-dyed jungle cloth. MF® “SURPLUS” mfsc Fall 2017. This is the third addition to our MF® “SURPLUS” Fall 2017 line-up, an on-going concept consisting of timeless classics given a twist à-la MF®, expertly manufactured in Japan by our long-time friends and partners at Toyo Enterprises. Basically, the MF® “SURPLUS” collection is the ethically-made-overseas companion of our popular all-made-in-USA “Sportsman” catalog. 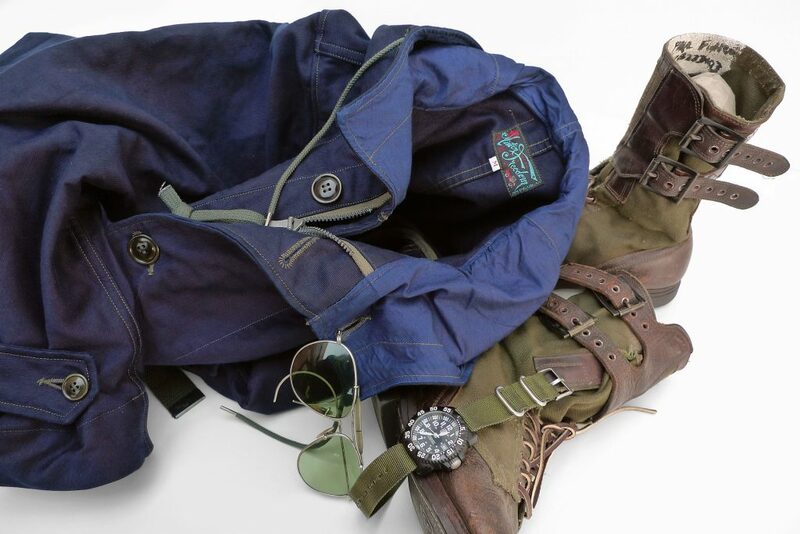 After tripping to the moon with the smashing Apollo ’69 Sukajan, after cruising in style down the 101 with the indigo Jungle Riders, here is a number for upcoming foul weather days. 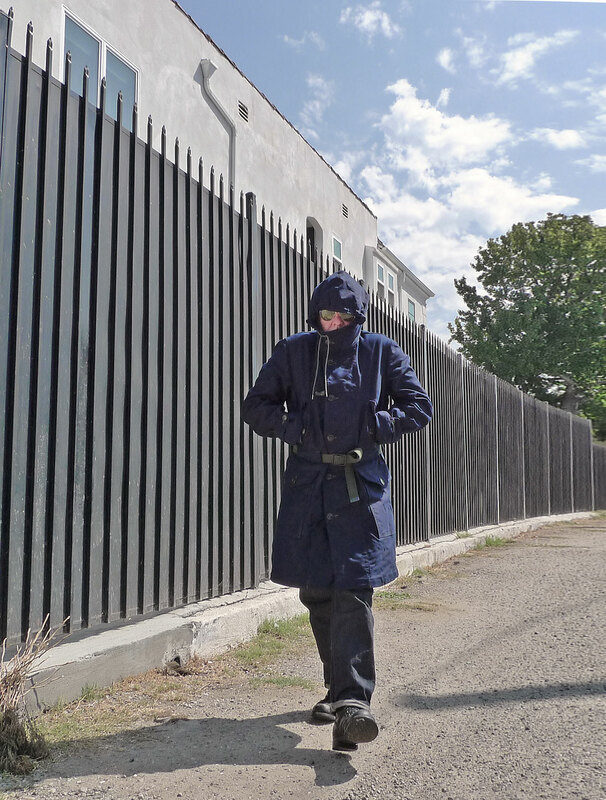 Design-wise, we adapted the pattern of a vintage US Air Force-issued M-47 “Overcoat, Parka Type”, molding it into a practical, unlined civvy garment, blending military, nautical and utilitarian outdoorsy vibes. 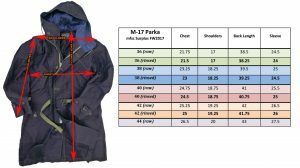 Having turned the classic Olive Drab 1947 model into a 2017 garment, we simply named it “M-17 Parka”. 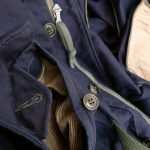 We opted for green contrasting trim accents, with the web belt, stitching, 1940’s-style Mil-Specs crown zipper tape, and olive corrozzo buttons. 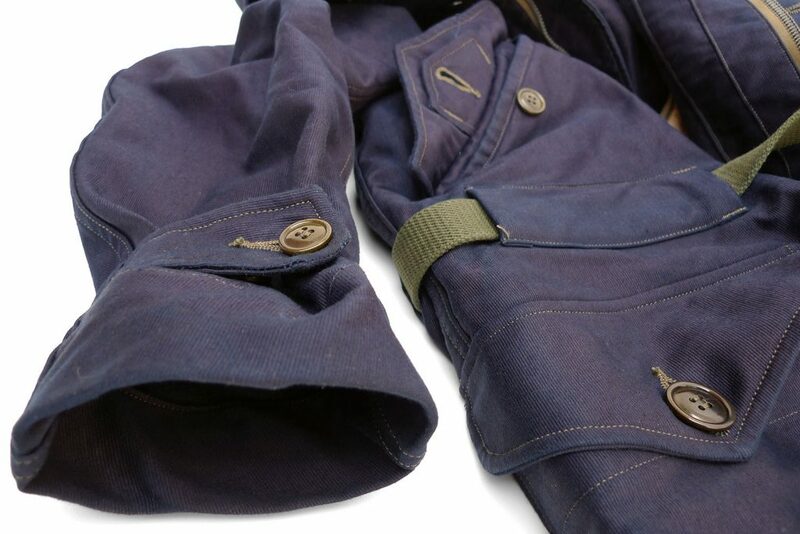 The hand-warming slash pockets feature beige corduroy pocket bags, a reference to vintage WW2 USN peacoats. 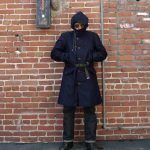 The “M-17 Parka” is re-designed in California by Mister Freedom® and manufactured in Japan by Sugar Cane Co.
A tightly woven 14 Oz. 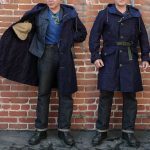 “Jungle Cloth”, 100% cotton grosgrain, period mil-specs, the notorious shell fabric of 1940’s USN deck jackets, dyed to a deep and dark indigo shade. 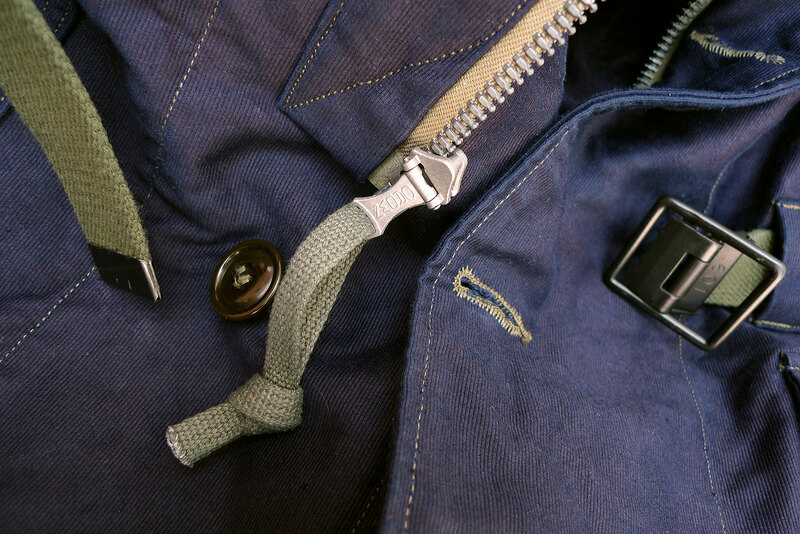 Milled and indigo-dyed in small batches in Japan. * Inspired by the classic olive drab US Air Force-issued M-47 “Overcoat, Parka Type”. 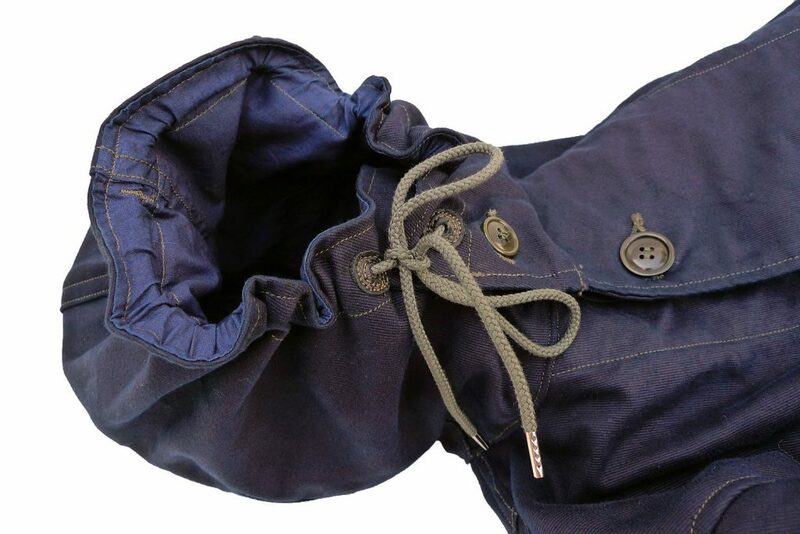 * Hood lined with fine indigo-dyed cotton popeline. 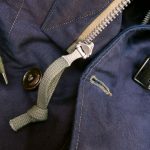 * Heavy-duty 1940’s-style US military spring-loaded “CROWN” zipper replica. 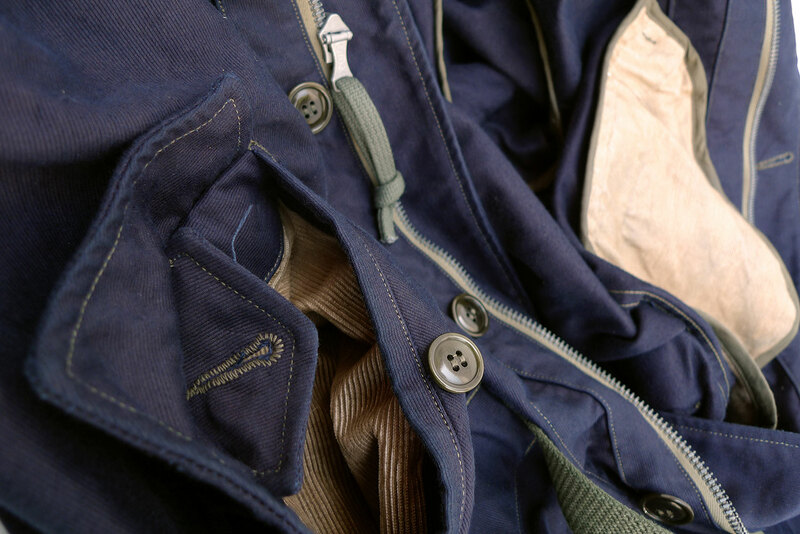 * Two large patch pockets with flap closure, and two hand-warming slash pockets featuring beige corduroy bags. 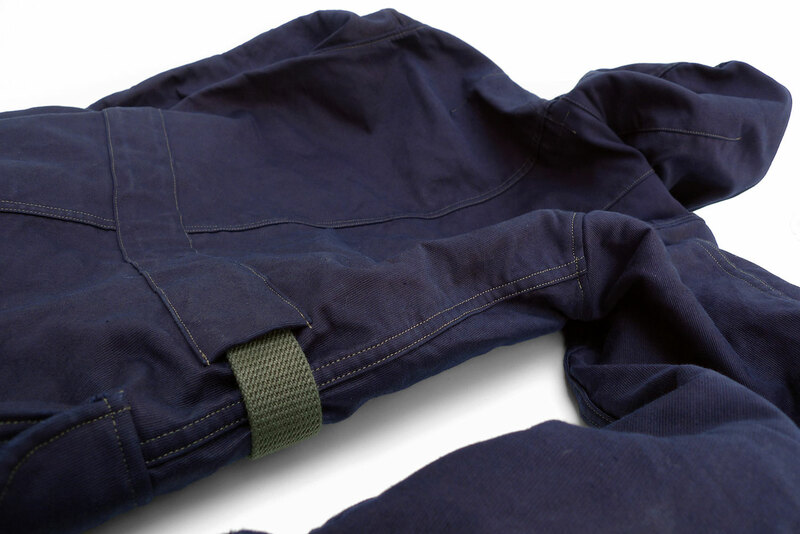 * OD Cotton web belt, removable, featuring an authentic made-in-USA USMC Mil. Specs. powder-coated metal buckle. * Inside OD cotton tape piping, no open/overlocked seams. * Olive green contrast stitching. 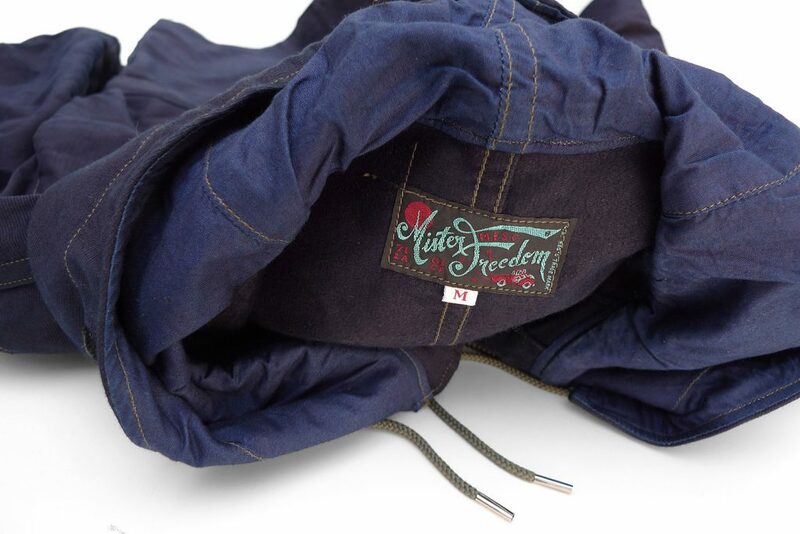 The Mister Freedom® M-17 Parka comes raw/unwashed and we recommend an initial 30mn cold soak, spin dry and hang dry. I opted for a comfortable size Medium, my usual size in mfsc jackets, anticipating layering it with other garments comes winter. Note that I could fit into a size Small with a light shirt, slimmer silhouette but no layering possible. 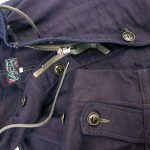 DISCLAIMER: Color crocking (temporarily bleeding onto other lighter-colored textiles) is to be expected and will temporarily ‘stain’ light color garments worn as under layers. Indigo rub-off should wash-off eventually. However, because it is unlined, do not wear a white shirt or light color jacket directly under the M-17 Parka. Please refer to sizing chart for approximate raw/cold soaked measurements. 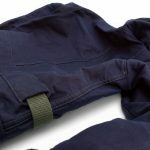 When cleaning is required, turn inside out, unzipped and unbuttoned, and hand wash in cold water with mild eco-friendly detergent designed for delicate fabrics. Expect heavy indigo crocking is to be expected, wash separately from all other garment. 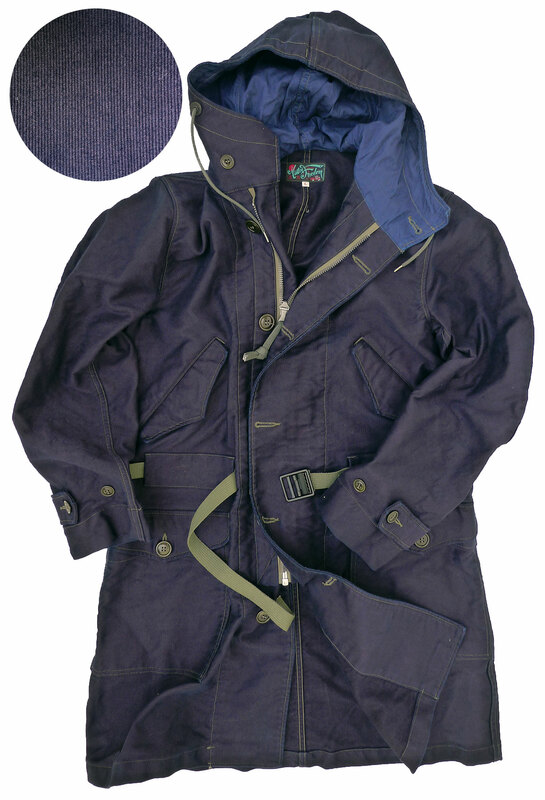 Due to the bulkiness of this garment, and its weight when soaked, we do not recommend using a home washing machine. 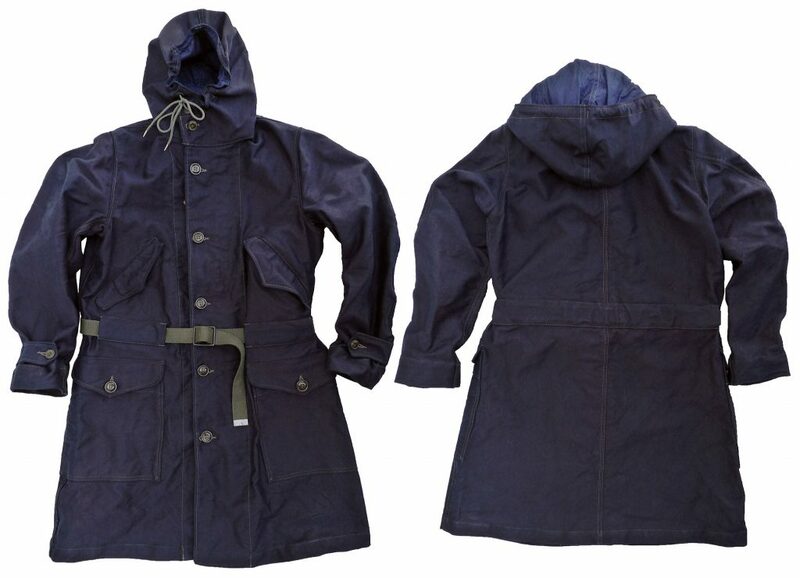 This will potentially ruin both the M-17 Parka and your washing machine. Additionally, excessive and unnecessary agitation will leave unattractive marbling marks, even if the garment is turned inside out. Do not use a heat dryer, hang dry instead.